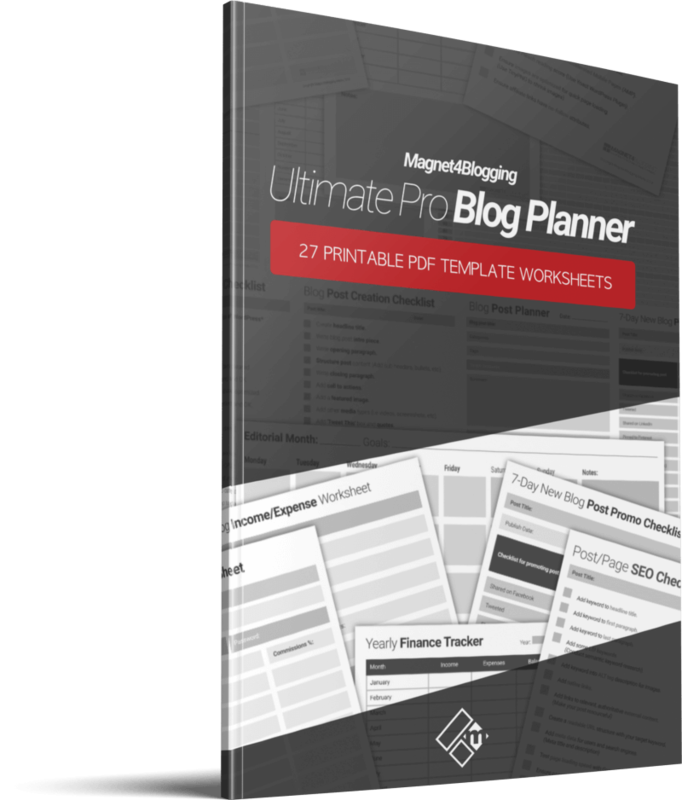 Great news folks, I’ve we’ve finished updating an all-new version of the Ultimate Pro Blog Planner Workbook, and you’re going to love it. 2019 is literally just around the corner, and what better time to start planning your blogging goals and activities for next year, than now? 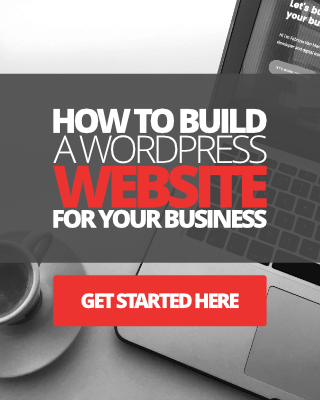 Moreover, why wait until next year to start taking your blog to the next level? You can start right now with my all-new ultimate and universal blog planner. Write more amazing content for your blog. Create and manage your content ideas. 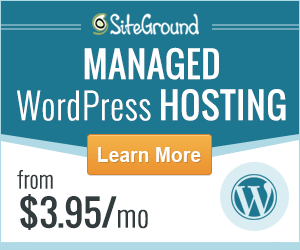 Manage your guest blogging activities more efficiently. Manage and track your social media activities. 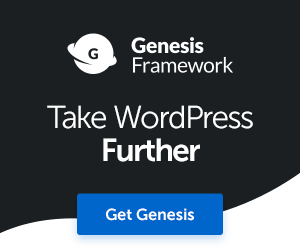 Manage your blog income and expenses. Organize your affiliate accounts and profiles, and more. I honestly believe the Ultimate Blog Planner will be the best planner/workbook you’ll ever use to stay organized, focused and be more productive and ultimately help you reach your blogging goals next year. 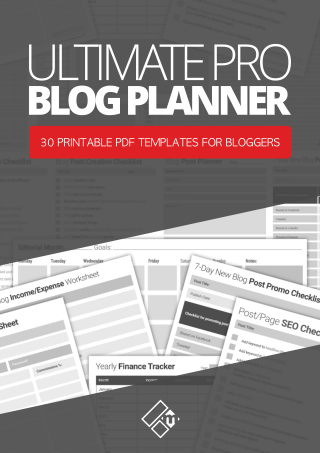 I don’t just say this lightly because I want you to go and grab a copy, I say this because I’ve spent many years building up my own blogging business and many of the templates included this planner I’ve been using myself. 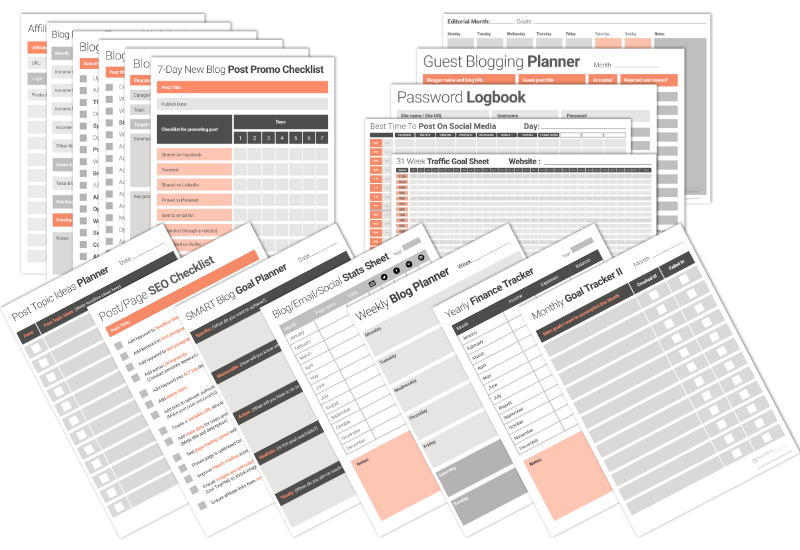 In fact, I originally created the Ultimate Blog Planner for personal use back in 2015. However, since making it available to buy from my website in 2016, over 500 bloggers have purchased and downloaded it, more importantly, 500 bloggers are putting it to great use. You’re responsible for a lot of things as a blogger! 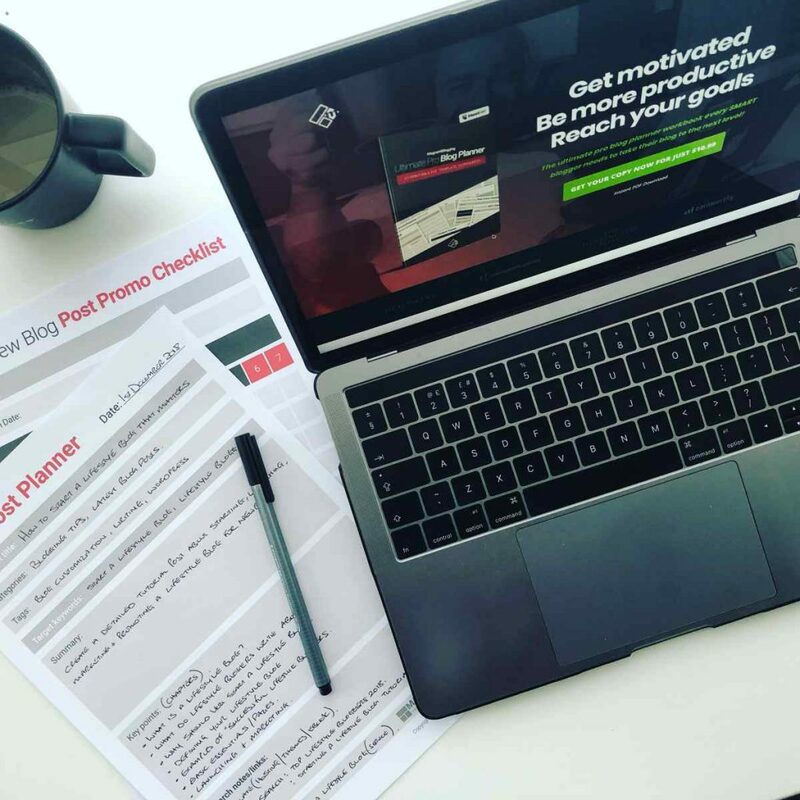 Once again, all of the templates that I have used to help me become more productive and to become more focused on blogging, I’ve included in this blog planner workbook. I am well aware of the challenges that come with running a blogging business and trying to keep on top of everything. If you’re not an organized blogger, you’re going to lose motivation in blogging, it’s that simple. Losing motivation can have a devastating effect. No one ever got inspired by being disorganized. So, to help you make the next 6 months, 12 months, or even 18 months, the most productive time for you as a blogger, get your copy of my Ultimate Blog Planner Workbook. It contains over 27 A4-sized printable templates in PDF format ready for you to use. (Now 30 templates). You’ll get instant access to your downloadable PDF workbook, so that you can start planning the next ‘whatever number’ of months you want, to be the best and most productive time yet, for you and your blog. As always, don’t forget that I’m here to help you with your blogging ventures, goals, struggles, progress, and everything in between. If you’d like to ask me a question, just drop me an email here and I’d be happy to try and help you the best that I can. This honestly looks fantastic. Just yesterday I spent several hours looking for articles about other people’s blogging process and here you have this lovely item. Hey Rene, thanks for stopping by and leaving your comment. I hope you’ll find the book useful in your quest for blogging success in 2017.